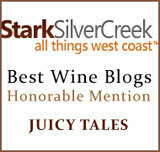 Wine Blog » Blog Archive » Do You Twitter, Yet? I Could Use Your Help. Do You Twitter, Yet? I Could Use Your Help. I’m going to be helping my colleague Rusty Eddy (Clayhouse wines) with a PR class that he teaches at UC Davis Extension each year, that’s related to wine industry PR. What I need from you, my readers, is to prove the power of Twitter, which is going to be part of my presentation, and I could use your help. I now have two Twitter accounts; one is aligned to my wine blog wineblogorg, and the other is aligned with PS I Love You PetiteSirahOrg. I’m about to start another one with Enoforum (wines), and Tequila Semental is going to be administered through one of our staff members, Katie Kelley. Do I believe in the power of Twitter? You betcha! 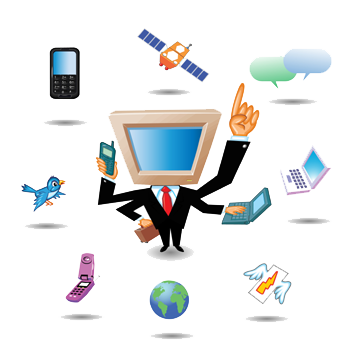 Every single brand with which we work must have a Twitter account, if it’s to survive the latest wave of social media. Facebook, too, if you’re wondering. After a few days, if you’ve had enough of my dribble, just unfollow me… I understand, but for the sake of this social experiment, I’d really appreciate your help. 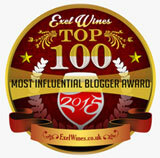 wineblogorg… Thanks, on behalf of social media education and PR. You might know that I teach an extension class at Davis every year, “PR for Small Wineries.” I’m revamping it this year to be much less PR-101 and much more social media-101, and I wonder if you’d consider coming to speak about how you’ve utilized social media for PSILY [PS I Love You]? Steve Heimoff is coming, as he has for the past couple of years, as is Josh Hermsmeyer (pinotblogger.com). It’s the usual format: 15-20 minutes to say your piece, questions, then lunch. Date is Friday, December 4th in Davis. If you’re interested and available I’ll send you more info, but at the very least, it would give you a chance to plug PSILY and I know that the collective knowledge of you, Steve and Josh alone is worth the price the students pay…I’m just the facilitator. Rusty had asked me to help with this class once before, and at the time I was so swamped that I couldn’t help, but this time I’m more than ready… Last year, Steve came away totally jazzed about helping with this class… I told Rusty I’d be delighted to help. Attendees are growers who want to start wineries (or brands), small winery owners who want to know what to do with what they recently put in the bottle, people who want to “break into” the wine industry, new winery hires trying to learn something about their new job, along with a smattering of PR people and other winery types who just want to see what’s going on (and assume I can tell them). More and more, they want to know how they can utilize Web 2.0 to build their brands…and sell more wine. When I started this years ago I started off talking about PR theory and definitions, writing the perfect press release, clipping services, blah, blah, blah. No more. It became clear to me that most of these folks just want to know three things: what goes in a press kit, to whom should I send samples, and how can social media help me sell wine? And obviously, PR has changed dramatically in 10 years, so the class content has changed, as well. While I still spend some time defining PR and working on how to write well (I’m an English major, after all…), one of the best take-aways for the students is a list of the tools they need to have to start doing the basics of PR/Communication, and the idea that they need to come up with something (or recognize something) unique about their brand/wine that distinguishes them from everyone else (and no, it’s not that you make a killer Chardonnay…). With the rise of social media, it’s even more critical for them to define their stories and learn how to communicate them…something that hasn’t changed in PR. It’s up to them to take it to the next level. After I give them some basics and you guys come on, we’ll break for lunch (please join us), then we’ll come back and talk about some potential tactics they might consider to deliver the message for their brands, and we’ll brainstorm a bit more about social media applications and tactics. I am NOT an expert and I fully expect to learn as much from them as they ought to from me. In the afternoon, I’ll bring in someone who owns a small winery to talk about their particular story and how to deliver it (last year it was Deb Schatzlein from Bink Wines; I’m open to suggestions if you know a small winery who has a compelling story that might be willing to speak this year). The class will then break into groups and come up with a PR plan outline to help the small winery tell its story to the media. It all sounds great in theory. It’s worked better in some years than in others, but it’s generally pretty fun and it gets people jazzed. You have a unique perspective, as a PR person who came up using “traditional” tools and has now graduated to lots of social media stuff. How has your practice of PR changed? Is it easier to get your message out now, or is it all just too cluttered? And how has PSILY changed and evolved with social media? 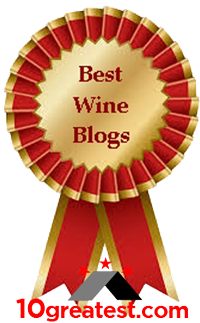 In general, please address the rise of wine blogs, their importance in helping get out one’s story, and their influence on wine consumers. What effect have blogs had on the usefulness/credibility of the 100-point scale? How does one choose which blogs to follow or participate in? 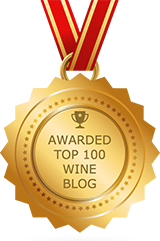 Should wineries actually be pitching stories to a blogger (and do winery PR people even know how to pitch anymore, anyway?). And what about Twitter?? I’ll introduce you, Josh and Steve, give each of you 20 minutes to talk, then open it to questions. If it gets lively, we can push lunch a little bit, but I’d like to get to lunch by 12:30 if possible. I hope you can join us for lunch and answer any additional questions. twitter.com/yogazeal to track the pulsing changes in the clouds that occur around the cusps as the Moon shifts between Constellations. various Leaf, Root, Fruit and Flower periods of the month. Perhaps after a few years the only accomplishment will be to determine when plants can best use irrigation water, but that in itself could save billions of gallons. Fascinating. I just went to your blog site, and now off to twitter. I’ll follow you and watch where it all leads. Thanks for your comment. Not offended at all. We all have a story to tell. I love wine and social networking!! Good luck with your class. Thanks, Angela, for helping out.